If necessity is the mother of invention, then, in essence, reverse osmosis is truly a daughter of necessity. It was initially developed by the U.S. Navy to produce drinking water through desalination (getting the salt out of sea water) for submarine crews. Today, the uses of reverse osmosis have branched out to other areas, including home use and uses in other industries. Basically, reverse osmosis (often referred to as R/O) is a filtration technology that forces water into passing through a semi-porous membrane that filters out unwanted chemicals and solids. In desalination, the water is rid of salt and can be drunk. In the version adapted for home use, R/O units are fitted with carbon and other mechanical filtration devices to produce highly purified water that tastes good. Scientists essentially copied what Nature had been doing all the time, with a little modification by way of reversing the process. In Nature, osmosis is the natural process of water seeping through a semi-porous membrane into a solution that is of higher consistency. In R/O, scientists force higher consistency water solutions (sea water, other water with dissolved minerals and other solids, etc.) through a membrane that strains out all these other non-essentials to produce pure water. The goal is to provide fresh recycled water for human consumption, especially in progressive and highly-industrialized areas where the use of resources is excessive. Water is one vital resource that’s precariously getting short. The R/O process is also used in other areas of industry. It is used to squeeze out water from ethanol and glycol so that these can be purified and used for fuel. In others, food concentrates (tomato juice, apple juice) are thickened by squeezing out the extra water. Still in other industries, the process is also used to harvest dissolved metals (copper, nickel, chromium) and other particulates in liquids for use as metals plating or in the finishing processes. The research for R/O process began sometime in the 50s when a UCLA scientist first developed “artificial simulation bio selection osmosis membrane”. It was the first time an artificial membrane mimics the natural osmotic process and replicated in a laboratory. 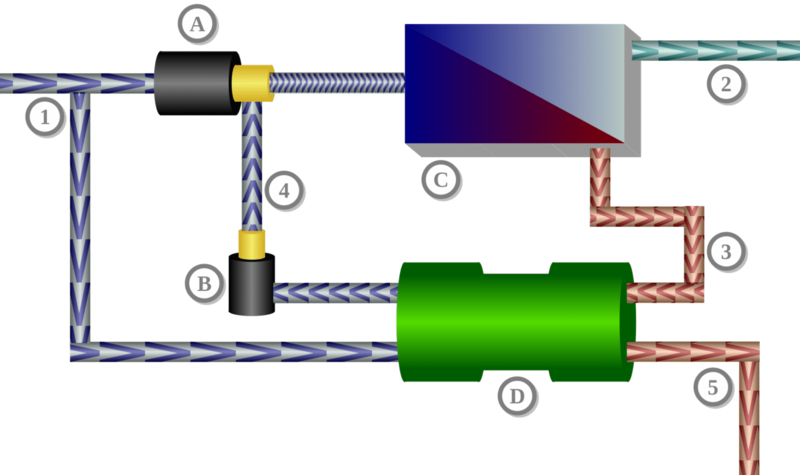 In 1960, the first acetic acid fiber was used as R/O membrane and it was a breakthrough. To date, the U.S. government spent $4 billion in the development of the technique. At that time, it replaced the only (and very expensive) method of fresh water production from sea water which was distillation. NASA funded the costs of development to solve the drinking water consumption problems in space. 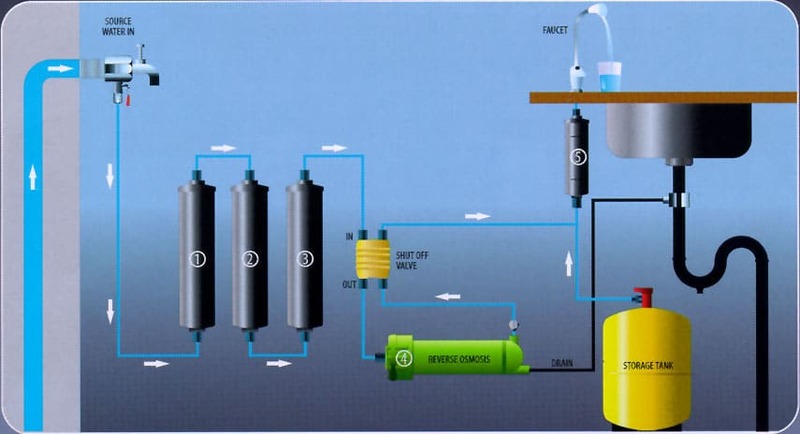 Today, the R/O process is used to purify and recycle used water. In aircraft carriers and submarines, all the fresh water supply is taken from purified sea water. Today, a home water system using the R/O process can provide 285 liters of drinking water, enough to fulfill the needs of a small office or a regular household. Nowadays, the water purification systems for home use have three pre-filters. This first stage filters are designed to remove sediments and other solids from the water. The first stage activated carbon filter is used to remove organics, chlorine, and odors. The osmotic membrane then removes most of the dissolved impurities (metals, chemicals, etc.) in the water. Finally, the last activated carbon filter is used to remove the remaining residue contaminants after the R/O membrane. Care should be taken to replace old filters and other worn parts. This will ensure that the continued use of your reverse osmosis water filtration system is always in top condition.